If I'm all alone when I'm reading comics I usually read out loud. Doing my best impersonation of every character's voice. Like when I read Green Arrow, there is no other voice that fits as perfectly and as uniquely as Kin Shriner. His gravelly voice makes the character seem honest and real. 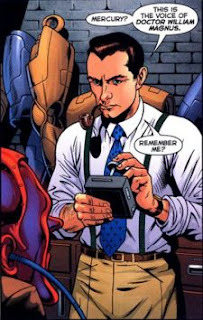 I also use Kin's voice for Tony Stark when I read Mighty Avengers or Iron Man. Also of note, is Jeffrey Combs performance as The Question. Although the question died in 52. I've kept my Jeffrey combs impersonation alive in the DCU as both the new Doctor Fate, and Dr. Will Magnus. 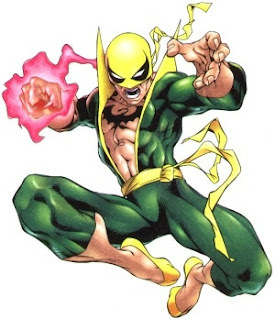 In the Marvel U I find he's a pretty good Mr. Fantastic. When it come to X-men my two faves Gambit and Wolverine always sound like this. Thank you Chris Potter and Cal Dodd. While were on the subject of X-men I am fond of Brad Swaile as Nightcrawler. He gave a terrific performance in X-men: Evolution. 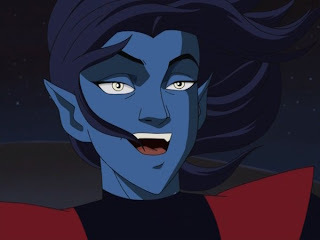 Giving Nightcrawler the innocence and cheerfulness that fits his role on the team. After over ten years of following the DCAU there can never be another voice for Bats and the Joker that beat Kevin Conroy and Mark Hamill. Conroy's voice is deep brooding and authoritative but full of heroism and hope. While Hamill's Joker is manic and funny and delightfully insane. With the new Booster Gold series as one of my monthly favorites, I try to think of Tom Everett Scott as Booster. His voice captures the right mix of patheticness and heroism that Booster Gold needs. Micheal Rosenbaum and Phil Lamarr. Micheal Rosenbaum owns as the Flash he sounds young and fun. 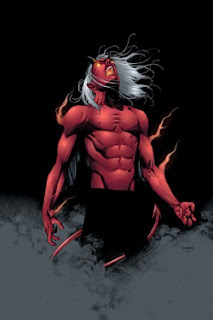 I also like to imagine Micheal voicing Kid Devil in Teen Titans and the Immortal Iron Fist Danny Rand. Green Lantern John Stewart can be no other than Phil Lamarr. His voice is deep and powerful and it conveys genuine personality and character. 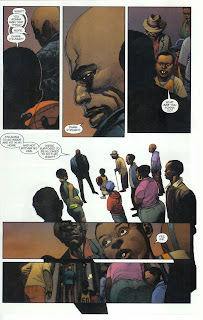 Phil Lamarr also makes an awesome Luke Cage voice when I read New Avengers. 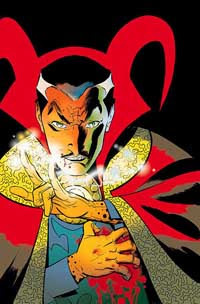 I love Doctor Strange, but damn you Venture Brothers I can't read him anymore with out hearing Steven Ratazzi as Doctor Orpheus parodying him. And my all time favorite comic book voices come from way back in the Day. Solomon Grundy and Bizarro never sounded cooler than they did in the Superfriends. This was a lot of fun. There will definitely be a part two some day. What are your favoirte voices for characters?